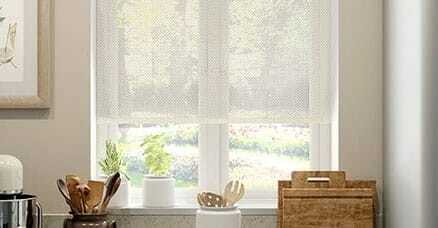 Kitchen Blinds | Easy to Clean Waterproof Blinds for your Kitchen, all at Incredible Prices. 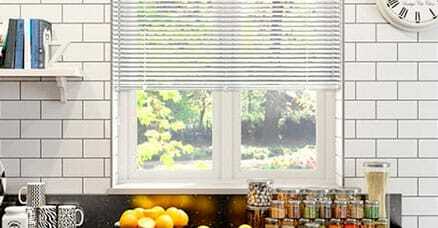 Polyester roller blinds are great for most kitchens. Splashes wipe right off and they're resistant to water. You can also match one of our hundreds of designs perfectly to your décor. Our Duo blinds are perfect for draughty kitchens. The honeycomb pockets help trap heat to keep your kitchen toasty. What's more, the light fabric won't cling on to moisture or smells. Our Enjoy Vision roller blinds let in plenty of light but also give lots of privacy. You can quickly change from open to closed plus they're water resistant too. Aluminium venetians are so tough and durable. They won't rust and food just wipes off clean. They're great for controlling the light too so you can see just what you're doing. A magic screen blind is great for kitchens with a view. It allows you to see out during the day without others looking in and is made from 100% polyester so it's water resistant too. 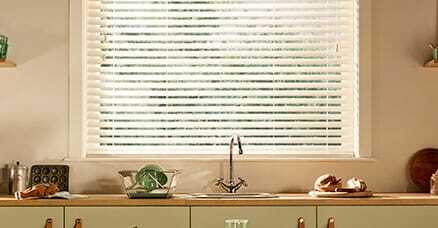 Kitchens are one of our shutter blinds' favourite environments. Not only are they able to handle all the heat, moisture and mess with consummate ease, they look great in modern and traditional settings. 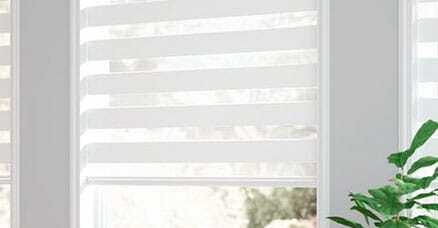 I would recommend Blinds 2 go to everybody: great product range, great service and very good pricing. 5 stars: Perfect – no reservations, I would recommend this company to anyone. The blinds were so easy to order and with quick delivery. They were so easy to put up and they look great. Very good blind, exactly made to measure, and found easy to fit. Quick delivery, would use again. Professional -Exactly what we were looking for! Excellent option for blinds on a budget. Very pleased with the Blind, easy to install and love the colour. Brilliant product at an affordable price. 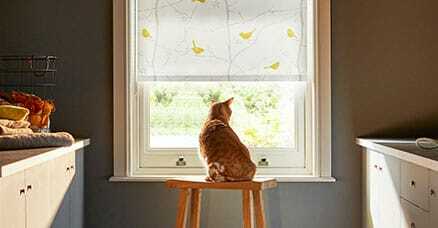 This is our second purchase from blinds 2 go, and again very pleased! Will continue to repeat buy! Easy to order, delivered early, product very good.